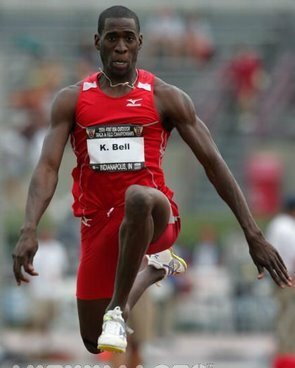 This article was written by Kenta’ Bell, a two time Olympian (2004, 2008) in the Triple Jump and the 2001 Gold medalist at the World Student Games in Beijing, China. His PR is an impressive 17.63m and he is also the 2003 & 2010 USA National Champion. This is a new series on “When Athletes become Coaches”. His previous post was Advanced Plyometrics for Jump and Sprint Training, a must read. The ability to accelerate, change directions quickly, and jump high are all directly related to explosive power. The common misconception of explosive power is often mistaken for how much weight the athlete can move. Unfortunately, Much of this weight is improperly lifted technically for the sake of lifting more weight. The growing sentiment in most strength and conditioning programs is based upon the term "building a bigger engine". The ability to be dynamic and explosive in athletics are directly affected by Rate of Force Development (ROFD or RFD). Their is a necessity in athletics for the ability to start, stop and change directions quickly. When an individual possesses these skills he or she is typically termed athletic or skilled. I define this as heightened body awareness, and high ROFD. What many of the so called gurus don’t understand is this type of dynamic skill isn’t developed by just applying more weight to a bar and squatting lower, nor is it gained by loudly stomping your feet when performing Olympic lifts. Unfortunately bigger and stronger doesn’t guarantee faster. In most cases there is significantly more benefit to decreasing body weight and improving the strength to weight ratio. Performing the specific necessity at a higher rate of speed can only attain high skill and speed acquisition. Contrary to most thoughts and beliefs an individual can yield high strength gains without lifting extreme weights. At what point are we strong enough? At what point does lifting more weight come with diminishing returns? Probably the most important and under-recognized area of applied science pertaining to strength training and athletes. ROFD essentially refers to the speed at which force can be produced. I can’t think of a single example in athletics that wouldn’t benefit from a faster ROFD. A faster ROFD results in quicker, more explosive movements and gets the bar moving faster. One study found that three times as many motor units (MU) were activated during a ballistic contraction compared to a slow ramp contraction. We constantly argue the science and theory of slow and fast runners based upon slow twitch and fast twitch MU. Science has shown us that the fastest runners apply higher vertical forces into to the ground in the shortest amount of times. Together, slow and fast twitch MU produces more force than either can individually. Greater recruitment in a shorter amount of time incites intramuscular tension more rapidly. Superior technique combined with correct muscle firing sequences and high rate of force development more often than not will put you in position of athletic Excellency. For this article we will look at three of my favorite exercises for developing motor unit recruitment and neuromuscular coordination as applied to ROFD. Each of the exercises have been tested individually as well as in combination for the purposes of athletic performance enhancement. Strategically applying strength to skill and speed to performance through isolated integration. This particular exercise is often called a shock tension jump and categorized as plyometric. The very nature of this exercise is strength building and power training at both the most basic and highest level. As previously mentioned the most important requirements of being athletic and efficient lie within the ability to stop and start rapidly. In the cycle isometric – eccentric – concentric when looking at the elastic principles of force reduction and production we address 2 of 3. 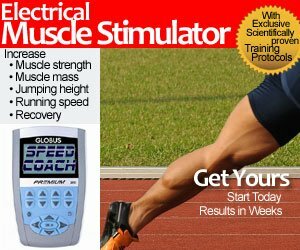 Muscle contractions when sprinting and jumping don’t occur slowly. The time and speed of contraction is rapid and forceful. This type of contraction when the muscle lengthens is referred to as an eccentric contraction. There is also substantial evidence that confirms pre-tensing before contact results in greater motor unit recruitment during the eccentric phase. Before now there has never been sufficient data that allowed the coach/athlete to know what types of forces were specifically generated and in what duration of time. Based on laboratory study that I have done we now have a much clearer picture. Dropping from a height as low as 10” produces (pound) forces upward of 1,400lbs in as little as 0.4seconds. This type of force time curve would be impossible to replicate doing a traditional squat movement. This data is valuable in understanding the application and implementation of this type of training. This is one of my favorite non-weight bearing power explosive exercises. This multi-joint, multi-complex movement challenges the athlete in a variety of ways. This exercise produces raw explosive power while forcing the athlete to overcompensate for any height/barrier perception issues. Likewise, it produces the full spectrum of muscle contraction/muscle recruitment firing processes. Beginning with iso-eccentric immediately transferring to concentric and finishing in an eccentric stabilization. In order to complete this exercise he or she must complete triple extension in the process of dynamic hip extension and gluteus recruitment. We do box squats because they teach correct form and MU recruitment. In combination with the explosive power development of plyometric box hopping drill this exercise is hard to beat. Also noted that it is safe for all age ranges and categories from developmental to professional elite. This exercise can be classified as a plyometric depth reactive jump. As a result of the external pull support helping overcome inertia and the pull of gravity this exercise is far more forgiving on the joints. Performed similar to your basic dumbbell squat jump. However, for this particular exercise we will be assisting the concentric muscle shortening contraction through the strapping of overhead elastic pull support. By reducing the ground contact time one thus improves the ROFD and improvement in explosive reactive properties. As previously noted this type of ballistic exercise creates greater intramuscular coordination leading to higher yield in muscle tension and recruitment of 3x the motor unit. Each of these particular exercises is regarded as central nervous system training. This as a result of the high nervous system activity and speed of muscle contraction. There are several other exercises and modalities that assist one in the improvement high rate force development. When performing this type of training quality outweighs quantity and one should strive for technical mastery. One the best (short) articles…I’ve ever read. This is absolutely excellent! The rate of force development is the limiting factor when aiming to attain faster running speeds. While it is pretty easy to figure out how to increase one’s max strength, increasing one’s RFD is a little more unclear. As a sprinter, I always place speed work #1 since nothing is more specific to sprinting than sprinting itself. This accounts for both the coordination and the plyometric aspects of training. After I finish that on a high intensity day, plyometrics are next in order of importance (assuming that I’m not cashed from the track work). Box jumps have always been nice since they are easy on the joints. I’ve also fallen in love with hurdle hops from an elastic recoil standpoint. This article speaks to me!